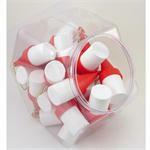 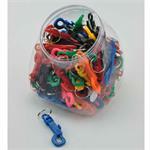 Quantity Discount Price shown is per Clear Display Jar of 36 Pieces. 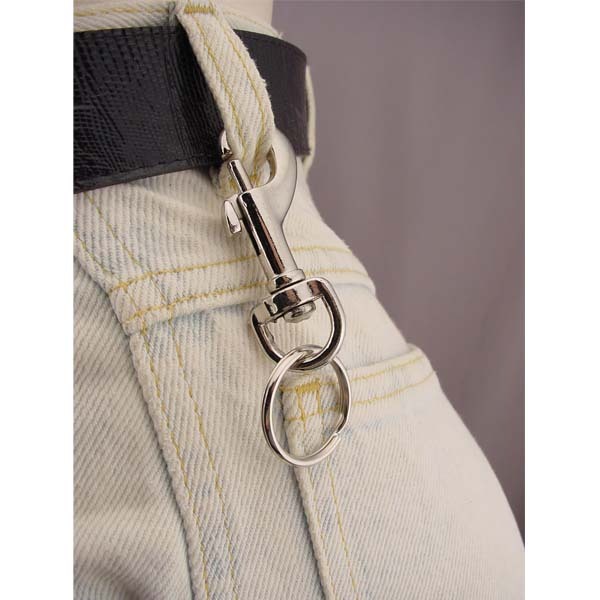 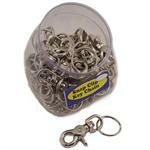 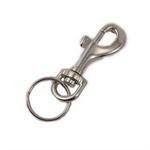 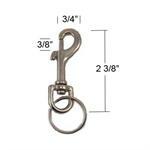 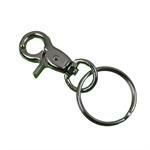 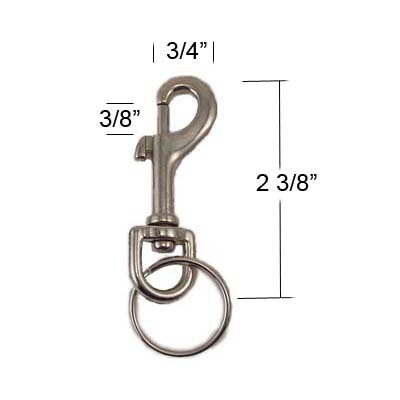 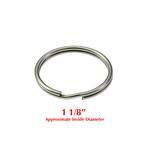 Small Size Chrome Plated Swivel Eye Slide Bolt Snap Clip with Keyring. 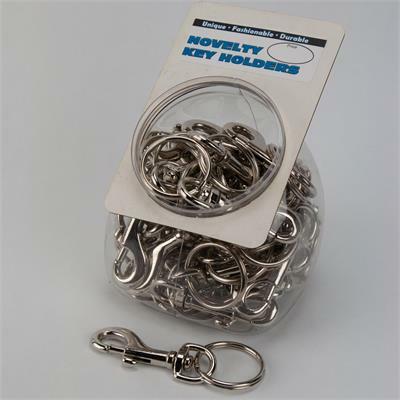 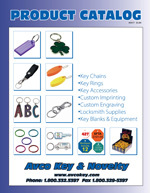 Clip your keys to your belt loop, backpack, purse, uniform, and more.